Looking for a luxury holiday cottage in Scotland? LovetoEscape has a selection of luxury 4 and 5 star self catering cottages within Scotland in the Scottish Highlands, Argyll and on the Fife coast. 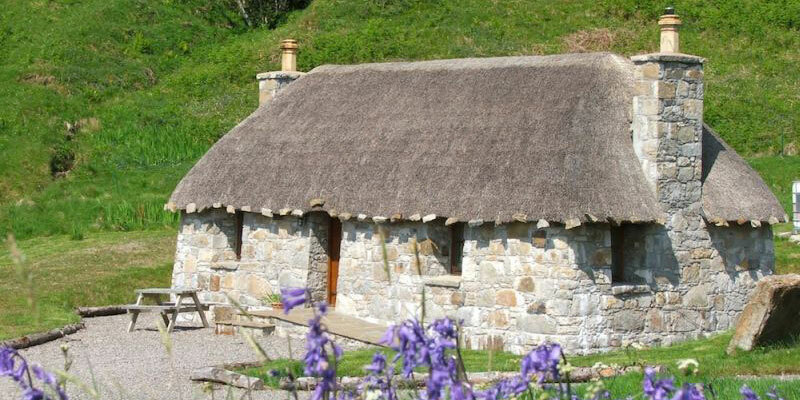 Scotland is home to many luxury cottages perfect for a break away for day to day life. Choose from countryside retreats to stylish coastal cottages all with luxurious interior and facilities such as hot tubs, indoor swimming pools, and saunas. Scotland is an exceptional holiday destination with plenty of natural attractions to explore. Scenic lochs, forests and woodland, interesting wildlife, spectacular mountains and pristine beaches are all found within Scotland. The diverse landscapes of Scotland offer endless hours of outdoor fun. Enjoy amazing walking and mountain biking trails, wonderful wildlife watching and horse riding. There is a range of watersports are available in many of the Lochs and rivers. Canoeing, kayaking, water-skiing, wakeboarding and windsurfing are all available in Loch Lomond and the Trossachs National park. In the winter months, enjoy skiing and other snow sports in the Scottish Highlands. Stay in one of our many luxury self catering cottages in Scotland and enjoy everything the country has to offer in luxurious surroundings.